My friend, Nelson Dafe recently wrote an opinion piece for News Express. I really enjoy his opinions and writing, as well as having him for a friend. One important aspect of our friendship is that he has allowed me to see Nigeria as more than a joke about email. Africa is a large diverse continent that few Europeans and Americans know beyond stereotypes. I invite my readers to get to know this gentleman from Nigeria, and to also enjoy his writing. He kindly wrote a small biography to put his piece in perspective for European, Australian and American readers. 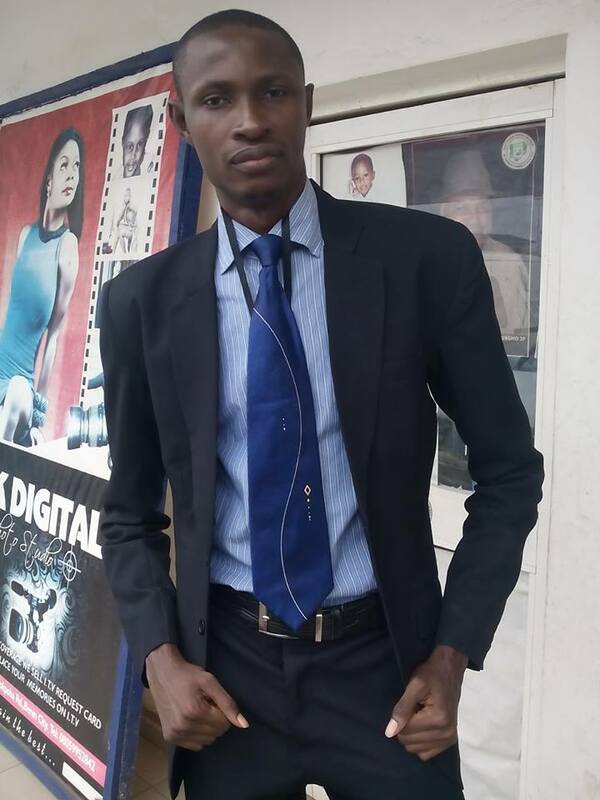 I live in Benin City, where I am the senior correspondent of News Express online newspaper and Business Express (a monthly print magazine owned by the publishers of News Express). 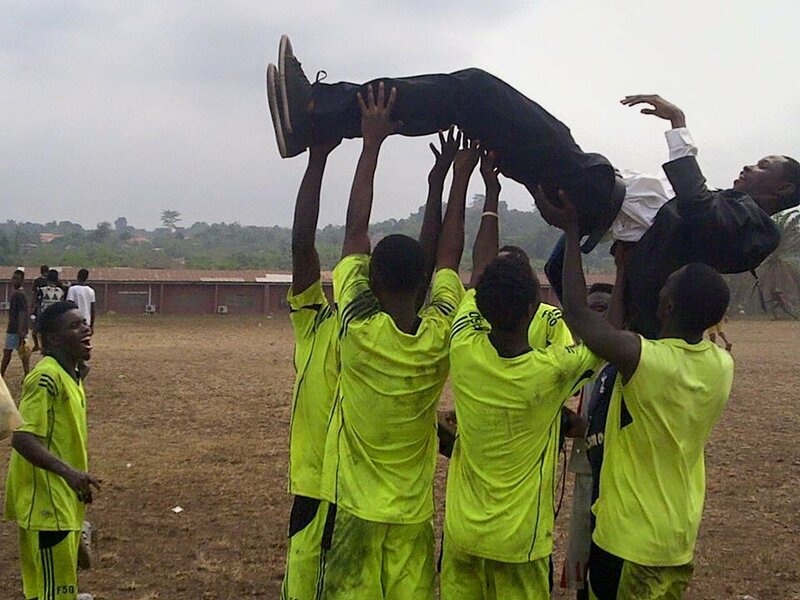 I am also a soccer coach of a grassroots team J.J Stars. Alongside my interest in the media, I am passionate about soccer and how it can be used to develop the all round character of some young men, especially the societally-challenged ones. I’m a lover of all kinds of music, and I’m interested in knowing more about other exotic cultures through the avenue of music. However, I have a special liking for rock music. Benin City is often referred to as the ancient city because of its rich history of conquests in precolonial times that spanned large swathes of west Africa. However, today the city is as modern in outlook as is any city in the world. There are modern structures everywhere due to a heavy traffic of financial returns from Benin sons and daughters in diaspora. The leader mentioned in the article is Gen Olusegun Obasanjo who was president from 1999 to 2007. More info on him can be got from Google. In the piece, the writer starts off by questioning Nigeria’s current political actors’ seeming kowtowing to former president Olusegun Obasanjo and what seems their upholding him as a high moral compass whose approval is needed to convince the masses that they are on the good side. As Kolawale reminded us of the many controversies surrounding the ex-general and former president, it is difficult not to find agreement with his wonderment of why Obasanjo’s name is being paraded by members of both parties as if he’s such a high moral exemplar whose support confers a certain stamp of righteousness on the receiver. The scandals surrounding the former president’s alleged corrupt dealings have not been cleared convincingly, his failure to deliver on economic promises, the insecurity that consumed the lives of famous Nigerians (including his then justice minister, Bola Ige) under his watch, the Odi massacre and his inability to effectively deal with the Niger Delta insurgency are issues that should hover around his conscience as he pontificates over social, political and economic matters of the country today. However, while Kolawale is definitely right in questioning the idea of the idealisation of Obasanjo today, I think he is wrong in the other aspect of his essay subtitled ‘I am not Charlie’. In his response to the outrage mostly in the Western world over the murderous terrorists attack on members of staff of the French satirical magazine Charlie Hebdo, Kolawale expressed displeasure over the Occidental world’s conception of freedom of speech, while criticising the magazine for its ridiculing of Islam by publishing satirical cartoons of the religion’s characters. The underlying subtext is that the Charlie Hebdo staff asked for their own death by daring to publish offensive cartoons of Islam. It seems pretty clear (like he concedes) that Kolawale doesn’t understand how freedom of speech works in the Western world. For example, he says you are not entitled to free speech over people’s sexual orientation. But this is simply not true. There are many evangelical pastors and their followers who criticise people on the basis of their sexuality regularly. Pastor Pat Robinson of Christian Broadcasting Network (CBN) comes to mind. I’m not aware of any American law that says you should not express the negative things that you think of gay people. It all seems like a show of good manners when the likes of Kolawale demand respect for the religious beliefs of other people. However, on closer introspection, we can make the argument that respect should be a two-way street thing. If we allow books that make large claims about the supernatural and how he/she/it wants us to conduct our lives, then we should respect the right of some people to express their rejection of such claims. It seems well-mannered to say ‘respect people’s beliefs’. There’s no problem with this attitude ordinarily, but when religious texts are the source of the murderous extremism we see today in such places as the North-East of Nigeria, then we must respect the rights of some people who are nauseated by these atrocities to ridicule the very texts from which extremists derive their thirst for blood. The right of freedom of expression must also include the right to offend. Many like me are offended by texts that encourage the subjugation of women, the demonising of people just because of their sexual orientation, that contain a warrant for indiscriminate killings, that oppose (violently in many cases) free inquiry and that is coercive towards children. But we respect the right of the publishers of such books to publish. And I, despite being nauseated by some of these texts and the dirty preachments of some religious people, cherish my right to hear the nonsense being spilled out, so I shouldn’t be denied the ability to form an appropriate response. Is it then too much to demand that adherents of these texts show the same respect for some people’s decision to say these claims are so ridiculous and evil and decide to respond only by drawing cartoons to ridicule the claims of the texts? If you are offended, so what? It shouldn’t give you the right to kill or support others who kill because of the cartoons. Many folks, like Kolawale, make the error of thinking that, in the face of the extreme propensity to display madness by religious maniacs, they and the rest of the world would be safe if they don’t cross the line to criticise Islam. But they should know that the extremists will always shift that line and come for you whether you criticise them or not. The battle for freedom of expression has been waged and watered by the blood of people like the Charlie Hebdos who refused to cower under the ramparts of faux-respect for religious texts that make outlandish claims for themselves, claims that negatively affect the lives of millions who Wish to be left out of such beliefs. Kolawale, Je suis vraiment Charlie. (I am truly Charlie). •Nelson Dafe, whose photo appears alongside this piece, is the Benin City Correspndent of News Express.